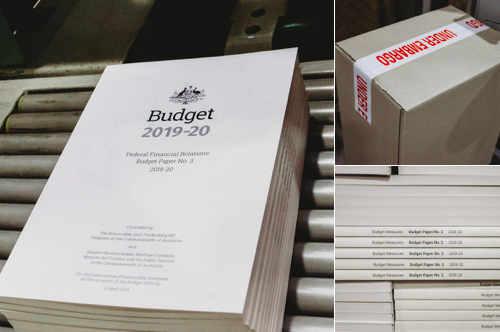 Regional Capitals Australia (RCA) has welcomed the release of the 2019 Federal Budget, which includes billions of new investment to better connect regional cities. RCA Chair, Cr Samantha McIntosh noted that the significant investments in roads, rail and airports will have substantial and long term benefits for regional capital cities and ensure the cities could continue to ease the squeeze felt by the major capital cities. “This investment will further ensure that our member cities have access to a larger pool of skills and diversity for economic and social growth,” Cr McIntosh said. Hinkler Deal: (Hervey Bay and Bundaberg) $172 million for the deal. Regional rail business cases: $40 million for five regional rail project business cases that connect regional cities to metropolitan capitals for connections from the Gold Coast, Wollongong, Parks (via Bathurst and Orange), Albury-Wodonga and Traralgon. Regional Airports: $100 million in funding announced to upgrade runways and taxiways, maintain existing airport infrastructure and upgrade airport infrastructure to enable large passenger planes to land in more regional airports. Bridges Renewal Program: an additional $100 million (over four years) to upgrade and repair bridges for freight activity. Regional Digital Connectivity Program: $60 million for a new digital technology hub to improve digital literacy and address localised infrastructure gaps in the National Broadband Network. Stronger Communities Fund: an additional $22.7 million for Round Five. Universities: 4700 student scholarships of $15,000 each for students studying in regional universities. Introducing two new regional visas for skilled workers, requiring visa holders to live and work in regional Australia. “We congratulate the Federal Government on the release of the Budget, which will make our cities more liveable, connected and productive,” said Cr McIntosh. “We do note that new funding was not added to the Regional Growth Fund,” she said. “This fund best suited growing regional cities due to the $50 million grant cap, as our cities grow so do the size of our projects, so having a larger grant available was really important,” Cr McIntosh said. “Additionally while we welcome the commitment shown to the deals announced for Albury-Wodonga and Bundaberg-Hervey Bay, our members would like a certainty for this initiative and think that a commitment to deliver 10 Regional Deals over the next four years would be the right level of investment,” she said. “As the Hon Bill Shorten, the Hon Anthony Albanese and Stephen Jones, MP turn their attention to responding to today’s announcements we also call on them to recognise that Australia cannot succeed without strong regional capital cities,” Cr McIntosh said. “Making sure that connected, productive and liveable regional cities are part of their vision for Australia will be key as they put their priorities to the people of Australia in their budget reply, ” said Cr McIntosh.